Dental implants are a viable option for individuals who are missing teeth. 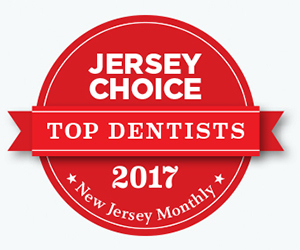 Here at Bagoff Dental Arts in West Orange, NJ we offer dental implants to help patients who have dentures or fixed teeth. To find out if you are a candidate for dental implants for your oral health learn more about this dental service. "Leave us a review online and we may feature it here!" Dental implants are tooth roots that are implanted into the gums. These are put into place to replace the tooth roots that are damaged or destroyed due to gum disease, decay, infection, or trauma. When the dental implants are put in they create a strong foundation for the use of dentures or permanently implanted teeth. Dental implants are fused into your jawbone and gums to create the strongest hold for any tooth replacements. What are the Benefits of Dental Implants Available at Bagoff Dental Arts? Dental implants available at Bagoff Dental Arts allow you to improve your overall oral health. You will have an improved dental appearance with the use of dental implants since they are fused with your jawbone. This will also help you with your speech since you aren’t concerned with slipping dentures. Additionally you won’t have to worry with removable dentures that can be a hassle when eating. For patients who are interested in dental replacements, dental implants offer the longest lasting solution. They also provide improve oral health since you aren't dealing with slippage and gum damage due to removable dentures. Dental implants also improve wearer's self confidence as they look and work like natural dental roots. At Bagoff Dental Arts we are your leading dental provider for dental implants in West Orange, NJ. It is our mission to help you improve your overall oral health and physical wellness. By choosing dental implants as part of your tooth replacement process you are taking great strides in benefiting your health and wellness. Contact Bagoff Dental Arts today to schedule an appointment with our dentists for dental implants. We look forward to helping you improve the feel and design of your dental replacements with the use of dental implants.